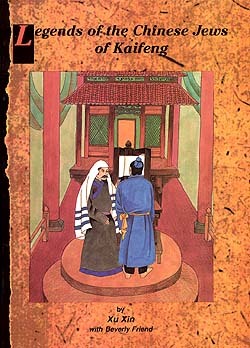 Click here for "The Jews of Kaifeng"
This is a charming collection of stories about the isolated community in Kaifeng, handed down through the generations. The tales weave together to build an extraordinary picture of what life must have been like. The book is written by Professor Xu Xin, Director for the centre for Judaic studies at Nanjing University and he is assisted by Dr. Beverly Friend. There are many lavish illustrations by the noted Chinese artist Ting Cheng.